Maria Björklund is a comic artist, animator and illustrator living in Helsinki, Finland. She has had her works presented in various international comic group exhibitions and animation festivals. Björklund’s latest published comic book Madonreikiä (2014) continues the tale of the cute yet odd creatures living in Planet Z (from the similarly titled book published in 2012). 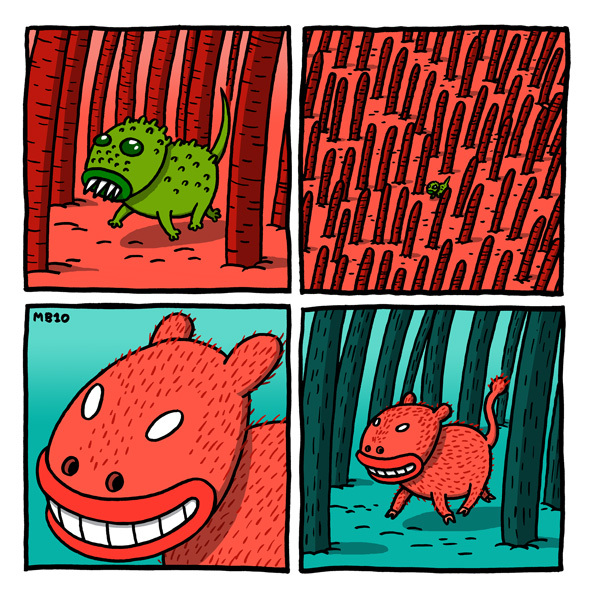 The first strip of Planet Z was published in 2010 and appeared also on the Nyt supplement of Helsingin Sanomat.